Training for war in the summer of 1941…and the making of a future Supreme Commander | Armchair General Magazine - We Put YOU in Command! Summer is finally here and in most places it’s hot and getting hotter. The summer of 1941 was equally torrid. With America on the verge of war, an unusual event took place in the South: the largest military maneuvers ever staged by the U.S. Army. The army of 1939 and 1930 inherited by new Army chief of staff, Gen. George Marshall was a mess, untrained, lacking doctrine and modern equipment, rapidly expanding and filled with overage Regular Army officers well past retirement age and unfit to fight a modern war that everyone knew was only a matter of time before the United States became involved in. The situation in the Soviet Union was dire and were it not for German unpreparedness for the winter of 1941-42, would likely have fallen to Hitler’s massive invasion force. Leningrad was under a siege that was to last nine hundred days and kill some one million people, including three thousand a day from starvation alone. If Hitler had bothered to read about Napoleon’s campaigns the war on the Eastern Front might have turned differently. However, he made the same mistakes by starting his offensive too late and failing to prepare for the harsh Russian winter. The Red Army managed to hang-on by the slenderest of threads until winter closed down the campaign until the spring of 1942. Thus, Russia survived to become a mistrustful ally. Although the United States remained officially neutral, Roosevelt responded to pleas from Churchill for help and had begun circumventing an isolationist Congress by means of a ploy called Lend-Lease. In September 1940, the President “loaned” the British fifty destroyers in return for the granting of leases to the U.S. Navy in Bermuda, the Caribbean and Newfoundland. In what came to be known as the “Undeclared War” against German submarines, Roosevelt proclaimed the U.S. Navy would protect American shipping over an area that covered half the Atlantic Ocean. As Germany and the United States edged closer to outright war, Roosevelt committed the nation to supplying a steady flow of war material vital to Britain’s survival. As American industry began gearing for war, Army Chief of Staff, Gen. George Marshall and his training expert, Lt. Gen. Leslie McNair, continued to mastermind the creation of an army, both in size and, perhaps more importantly, in its doctrines as a fighting force. 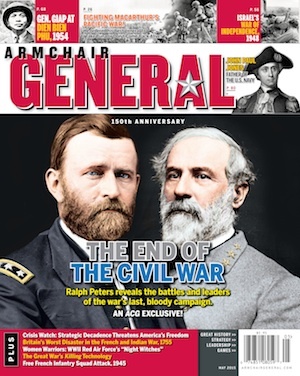 Conflict continued to rage over the concept of the mobility of the lightly armed cavalry of the old West versus the newer belief in the use of massive force first employed by U.S. Grant in the Civil War, and taken to new levels by Pershing during the World War I. Conversely, Robert E. Lee had demonstrated that force combined with mobility could produce significant results. Marshall’s dilemma was to enlarge and convert the army into a force that could successfully challenge the mobility and mechanization of the German army whose success on the battlefields of Poland and France forewarned of the difficulties ahead. I have documented in my writings Eisenhower’s comments about his life in his book “Things I Tell My Friends’ about his early career. He gave credit to his meteoric rise to a newspaper reporter, Drew Pearson. Eisenhower wrote that Pearson gave him credit that belonged to General Krueger. One may note that Eisenhower received 6 promotions from Colonel to 5-star General in 2 years and 4 months. The usual promotion in those years was once in 4 years. But, wars need heroes. It is not noticed that both Eisenhower and Kennedy knew that the 1960 election hinged on the lie of the booster gap. (I worked on Minuteman from the start.) This threw the election to Kennedy. Did Nixon’s later knowledge of the truth lead to Watergate?